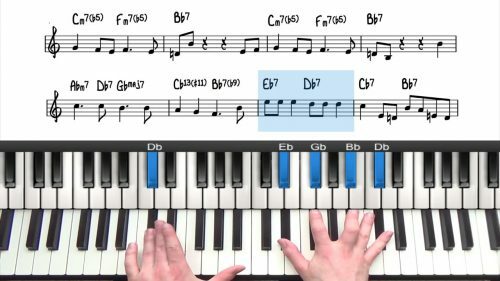 In part 2 of this tutorial we spice things up with some interesting chords and harmonic movement. As we move into the 2nd A section, we starts by voicing in the main melodic motif in intervals. First we descend using octaves in our right hand and then ascend with third intervals. This is a nice technique to add texture to the melody. Next we look at some interesting passing chords using altered dominant and approaching the target chords from a half step above. We take this a step further by reharmonising sections of the form using sets of descending chord voicings. 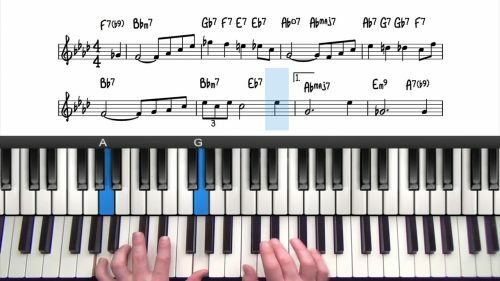 If you have space in the harmony, it’s a nice technique to add chromatically descending voicings into the target chord. This is particularly effective with dominant chords as they have a strong pull to the chord a half step below. However, it is also very effective to move the same voicing shape in parallel. 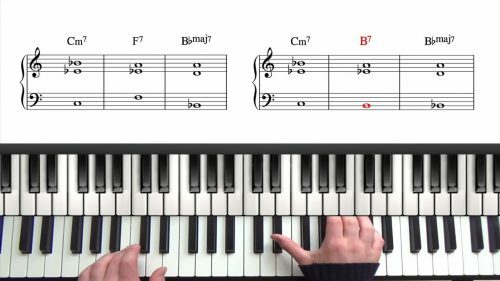 We finish this lesson with a full performance of the whole arrangement.